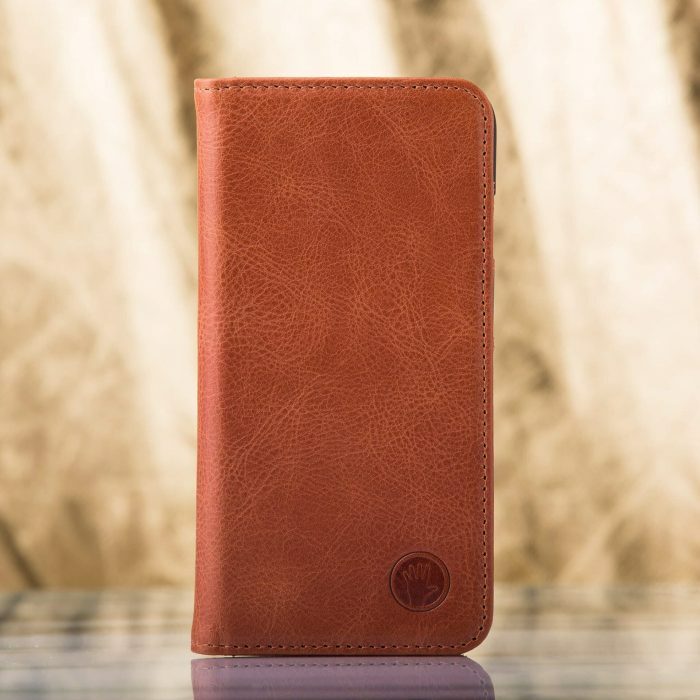 Carry your Smartphone & Credit Cards with our sleek smartphone wallet! Fashion and Function perfectly combined in the creation of our Smartphone Wallet. Eliminating the need to carry your wallet and phone separately. Our ultra slim design is designed to carry your credit cards, cash and smartphone. It hold 3 credit cards or you can double up to fit 6 card. 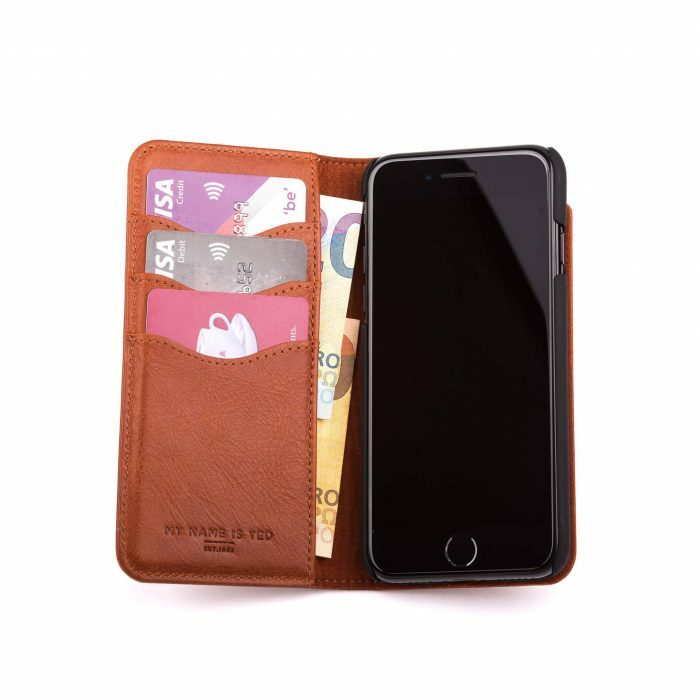 Hidden magnetic closure to secure your cards and cash.. 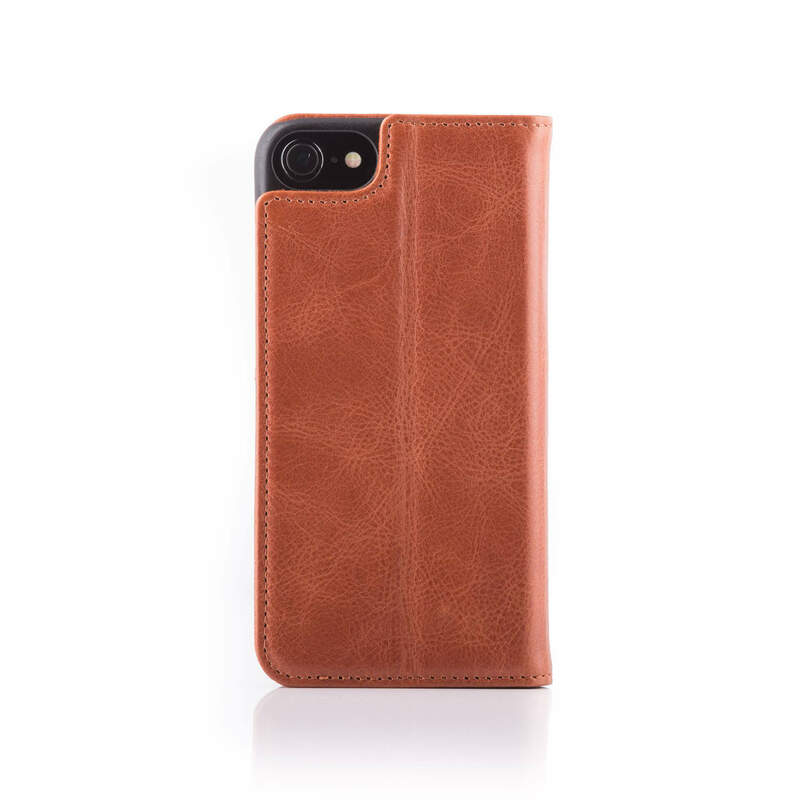 The first thing you will notice is the satisfying aroma of the full grain leather. The packaging for our Smartphone Wallet is made from card with gold foil print. 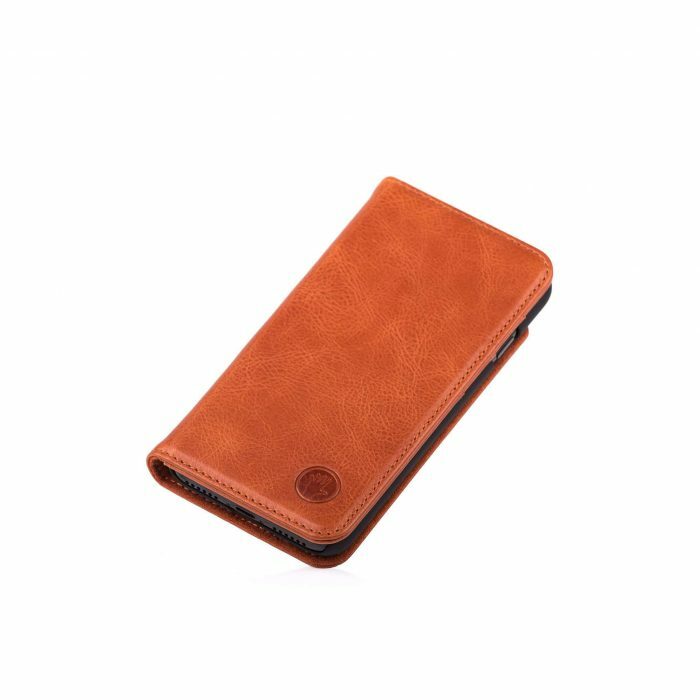 Our luxury design is constructed to clip on to your smartphone securely to guarantee a snug fit. 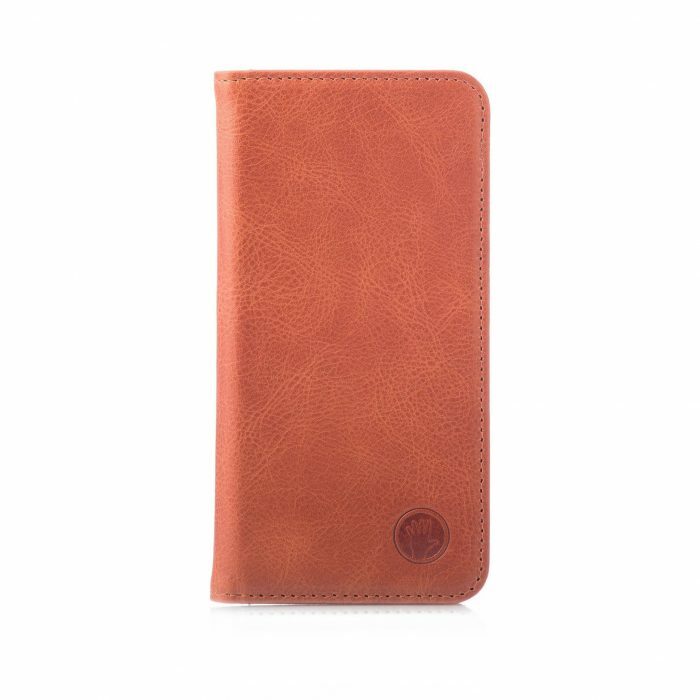 The top edge of the card slots are hand-stitched to offer maximum durability for constant use. 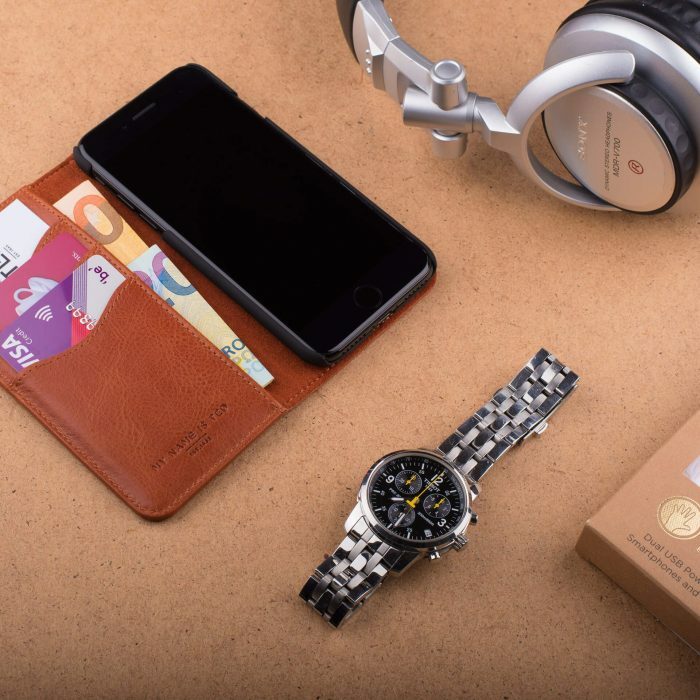 The minimalist design is preserved with a hidden magnetic closure. Hidden Magnetic Closure for extra security!